If you’re looking for used Jeeps for sale in Houston, TX, then you’ve come to the right place. Clear Lake CJDR has you covered with 22 pre-owned Jeep SUVs near Houston, from the flagship Jeep Wrangler to family-friendly models like the Jeep Cherokee and Jeep Compass. This includes used and Certified Pre-Owned Jeep models, as well as formerly leased Jeeps. Value your trade online, and then make your way from Pearland to test drive our used Jeep SUVs at Clear Lake CJDR. 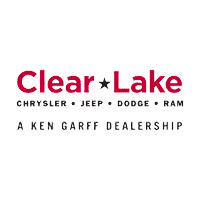 The team at Clear Lake CJDR is here to help you find used Jeeps for sale in Houston right now, and we’re happy to provide our clients in Deer Park and Clear Lake with comprehensive Jeep services, including professional Jeep maintenance and repairs, a professional body shop, and authentic MOPAR® parts warranty coverage.